People who are interested in keeping fit now have the benefit of technology to help them. There are now a lot of fitness gadgets and devices available in the market that will not only help them keep fit but also help them monitor and keep track of their fitness activities and performance. This can help people become more effective and efficient over time. One of the recent innovations to come out in the field of fitness is the Fitbit Flex. A fitness device like the Fitbit Flex is a simple and yet very effective gadget. It is a slim and wearable device that helps fitness buffs keep track of their fitness activities. Worn just like a wrist watch, the Fitbit Flex comes with sensors that can keep track of the wearer’s steps, distance traveled and calories burned. Users can also set up fitness goals and sync it up with the Fitbit Flex. They can then keep track and compare the different physical activities to know whether they are at the level or beyond the fitness goals they set. Level of performance today are compared to the other previous performances to enable users to determine what areas they still need to improve on. 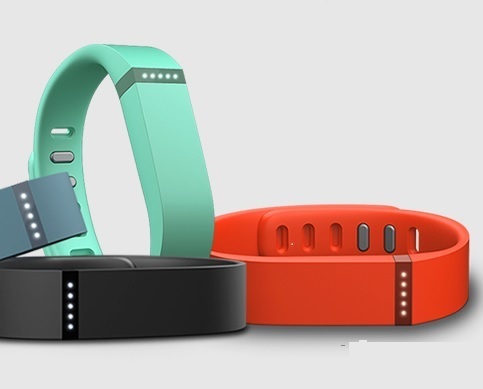 Not only that, the Fitbit Flex can also help users keep track and monitor their sleeping habits. Any fitness regimen requires some time to rest and let the body recover. Fitbit Flex continues keeping track of a person’s sleep quality as long as he wears it all night. The fitness band can then keep track of the user’s sleeping habits. It can help monitor a person’s quality of sleep as well as the number of times he or she wakes up during the resting period. All these fitness data can then be synched and organized through the computer. It is just a simple device, but the Fitbit Flex can do wonders in trying to make fitness goals become more achievable. It is available for $ 100.